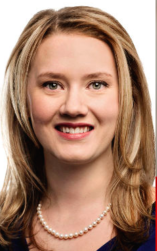 Laila Goodridge has been chosen as the United Conservative Party candidate in the upcoming Fort McMurray-Conklin by-election. The yet to be called by-election is required following the resignation of UCP MLA and former Wildrose Party leader Brian Jean in March 2018. According to Fort McMurray Today reporter Vincent McDermott, Goodridge won the nomination with 52 percent of the vote on the second ballot. 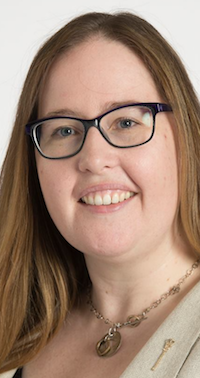 She defeated longtime conservative party campaign manager Willie Hoflin, social worker Elizabeth Keating, and eight-term Wood Buffalo municipal councillor Phil Meagher in the nomination contest. 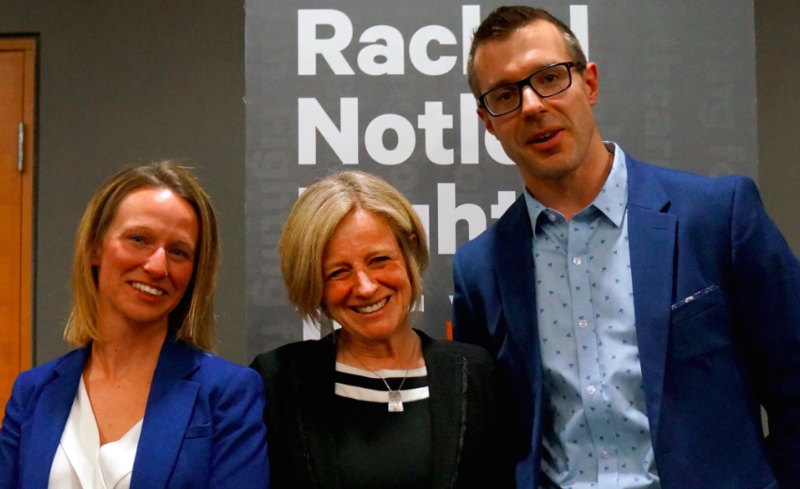 Her nomination candidacy had been endorsed by UCP MLAs Leela Aheer, David Hanson, Jason Nixon, Todd Loewen and Conservative MPs Matt Jeneroux and Dane Lloyd. Goodridge worked as a political staffer in Calgary, Edmonton and Ottawa, including as a constituency assistant for former Calgary-Centre MP Joan Crockatt. She was director of field operations for Jean’s UCP leadership campaign in 2017. 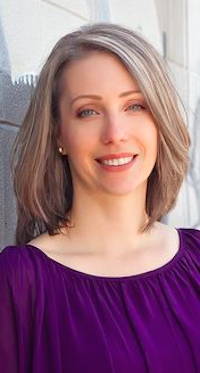 She was also the Wildrose candidate in Grande Prairie-Wapiti in the 2015 election where she placed third behind PC incumbent Wayne Drysdale and New Democrat Mary Dahl. Goodridge was considered a potential candidate for the Conservative nomination in the 2014 by-election in Fort McMurray-Athabasca that was held to replace Jean when he resigned from federal politics in 2015. Wood Buffalo municipal councillor Jane Stroud is seeking the New Democratic Party nomination, which is scheduled to take place on May 10, 2018. This entry was posted in Alberta Politics and tagged Alberta Election Candidate Nominations, Alberta NDP, Brian Jean, Dane Lloyd, David Hanson, Elizabeth Keating, Fort McMurray-Conklin, Fort McMurray-Conklin by-election, Jane Stroud, Jason Nixon, Joan Crockatt, Laila Goodridge, Leela Aheer, Mary Dahl, Matt Jeneroux, Phil Meagher, Todd Loewen, United Conservative Party, Wayne Drysdale, Willie Hoflin on May 2, 2018 by Dave Cournoyer. Who is running in Alberta’s 2019 Election? A handful of aspiring elected officials have already put their names forward to run in Alberta’s next provincial general election, which, due to our odd-ball fixed-election period, is expected to be called between March 1, 2019 and May 31, 2019. One candidate has already been nominated. 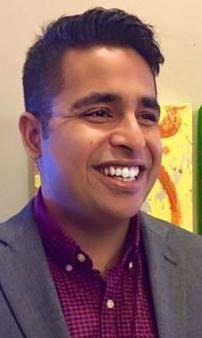 Omar Masood was acclaimed as the Alberta Party candidate in Calgary-Buffalo in December 2016. 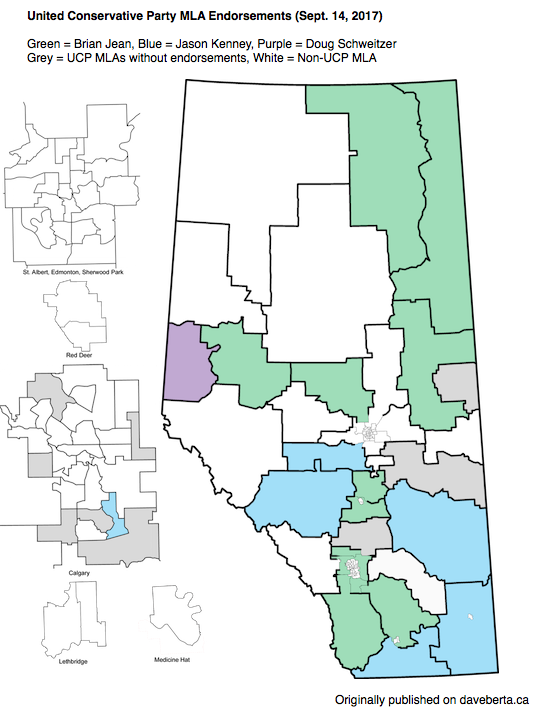 Six incumbent MLAs were acclaimed to run as Wildrose Party candidates in February and March 2017, before the formation of the United Conservative Party and the redistribution of electoral boundaries for the next election. Those six MLAs were Angela Pitt in Airdrie, Glenn van Dijken in Barrhead-Morinville-Westlock, Leela Aheer in Chestermere-Rockyview, Todd Loewen in Grande Prairie-Smoky, Dave Hanson in Lac La Biche-St. Paul-Two Hills and Ron Orr in Lacombe-Ponoka. It is expected that, due to the creation of a new party and a new electoral map, those MLAs will have to run for their new party’s nominations. Aidrie-Cochrane: Peter Guthrie is seeking the UCP nomination in this new district. 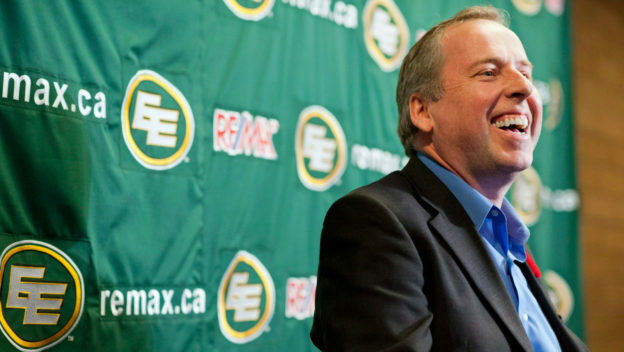 Guthrie is a former owner of a Mr. Lube franchise in north east Calgary and a former co-owner of a ranch near Castor. He has a degree in Chemical Engineering from the University of Alberta. Bonnyville-Cold Lake-St. Paul: Glenn Spiess is seeking the UCP nomination in this newly redistributed district. Spiess was the Assistant Director of Development for the Living Water College of the Arts in Derwent and is a homeschooling facilitator with WISDOM, the home schooling administration of Trinity Christian School in Cold Lake. Calgary-Beddington: Videographer and editor Daniel Kostek is seeking the UCP nomination in this new northwest Calgary district. The new district will be created from areas of the current Calgary-Mackay-Nose Hill, Calgary-Northern Hills and Calgary-Foothills districts. Calgary-Glenmore: Philip Schuman is seeking the UCP nomination in this southwest Calgary district. Schuman is an MBA student, insurance company account executive and the Vice President of the Braeside Community Association. 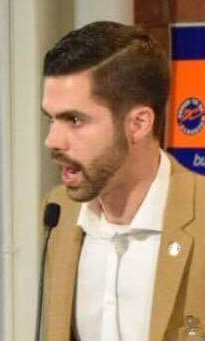 Until July 2017, Schuman was listed as the Media Coordinator for United Liberty, the political action committee created by now-former UCP MLA Derek Fildebrandt. Calgary-Mountain View: Thana Boonlert is seeking the Green Party nomination, which is scheduled to take place on February 28, 2018. Boonlert previously ran in the 2016 Calgary-Greenway by-election and 2015 federal election in Calgary-Centre. The district is currently represented by fourth-term Liberal MLA David Swann. 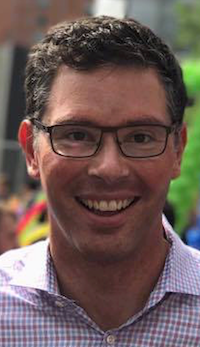 Calgary-South East: Matthew Jones is seeking the UCP nomination. Edmonton-Mill Woods: Christina Gray will seek re-election as the NDP candidate. She was elected in 2015 with 64.8 percent of the vote and currently serves as Minister of Labour and Minister Responsible for Democratic Renewal. Edmonton-Whitemud: Tunde Obasan is seeking the UCP nomination. He is an accounting and finance professional and was an organizer for Andrew Scheer‘s federal Conservative leadership campaign and Jason Kenney‘s UCP leadership campaign in 2017. Leduc-Beaumont: Former Edmonton police officer Brad Rutherford is seeking the UCP nomination. Rutherford previously ran for the federal Conservative Party nomination in Edmonton-West ahead of the 2015 election. He is the president of the Leduc-Beaumont UCP and the federal Edmonton-Wetaskiwin Conservative association. Red Deer-North: Cole Kander is seeking the UCP nomination. He is a former political assistant who publicly attacked former Wildrose leader Brian Jean after he lost his job at the UCP caucus due to budget cutbacks in September 2017. 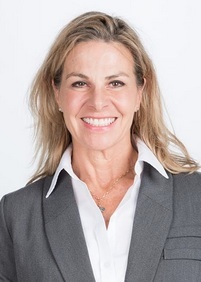 St. Albert: Marie Renaud plans to seek re-election as the NDP candidate. Renaud was first elected in 2015 with 53.9 percent of the vote. This entry was posted in Alberta Politics and tagged Airdrie-Cochrane, Alberta Election 2019, Alberta Election Candidate Nominations, Alberta NDP, Andrew Scheer, Angela Pitt, Bonnyville-Cold Lake-St. Paul, Brad Rutherford, Brian Jean, Calgary-Beddington, Calgary-Glenmore, Calgary-Mountain View, Calgary-South East, Christina Gray, Cold Kander, Daniel Kostek, Dave Hanson, David Swann, Derek Fildebrandt, Edmonton-Gold Bar, Edmonton-Mill Woods, Edmonton-Whitemud, Glenn Spiess, Glenn van Dijken, Green Party of Alberta, Hurricane Marlin, Jason Kenney, Leduc-Beaumont, Leela Aheer, Marie Renaud, Marlin Schmidt, Matthew Jones, Peter Guthrie, Philip Schuman, Red Deer-North, Ron Orr, St. Albert, Thana Boonlert, Todd Loewen, Tunde Obasan, United Conservative Party, United Liberty, Wildrose Party on January 4, 2018 by Dave Cournoyer. On the final night of second quarter fundraising period for Alberta’s political parties, I thought it would be useful to take a look back at the past year in political party fundraising. There has been a seismic shift in our politics in this province since last year when the Progressive Conservatives were defeated in the general election and Albertans elected their first new government in 44 years. Immediately after their election, the New Democratic Party government implemented one of their key election promises to ban corporations and unions from donating money to political parties. This change had a significant immediate impact on the PC Party, which had relied heavily on large donations from corporations to sustain its operations and fill its large campaign war-chest. The shock of the election loss and severing of its access to corporate donors led the PC Party to raise only $15,575.50 in the third quarter of 2015, it’s lowest fundraising period in decades. The PC Party appeared to have somewhat recovered by the fourth quarter of 2015, when it raised $221,959.50. 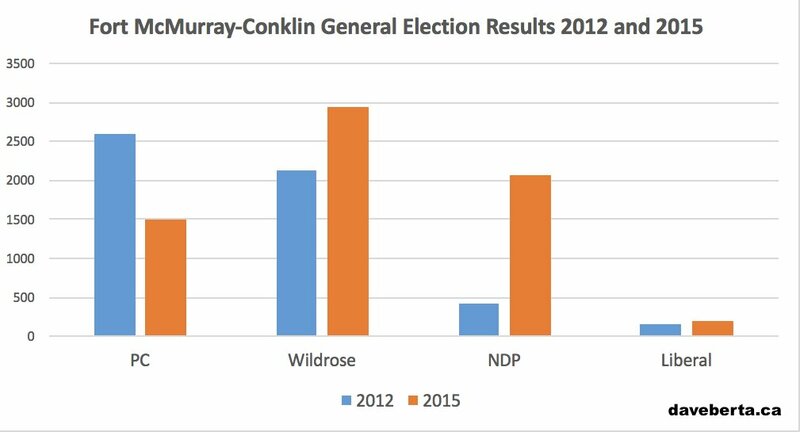 The NDP and Wildrose Party faired better and adapted much quicker to the changes due to their already substantial base of individual donors. Both parties rely heavily on individual donors contributing amounts under the $250 reporting threshold. All the major political parties have been soliciting donations in advance of tonight’s deadline. The NDP and Wildrose Party in particular have been flooding their supporters and past donors inboxes with email appeals for donations over the past week. “Help us defeat the NDP in Q2!” was the subject line of one email from Wildrose executive director Jeremy Nixon on June 24, 2016. “We’re publicly measured against our opponents, and we’ve got just five days to match the Wildrose dollar for dollar.” was the lede of one email from NDP Provincial Secretary Roari Richardson on June 25, 2016. “The NDP are now charging you $5.1 million to advertise their carbon tax plan that is putting 15,000 jobs at risk and taking $1,000 a year out of the typical Alberta household.” was the start of one appeal from Wildrose environment critic Todd Loewen on June 21, 2016. (The Wildrose Party paid Ezra Levant‘s Rebel Media to send this letter to its list of supporters). “It’s 2016 – yet the opposition seems to be stuck in the stone age. Countries around the world are working to address climate change. Yet Wildrose leaders continue to deny basic science.” was the lede of an email from NDP Deputy Premier Sarah Hoffman on June 28, 2016. “We need to send a strong message to the NDP, and to all Albertans, that Wildrose is the only party ready to govern in 2019.” wrote Wildrose House Leader Nathan Cooper on June 30, 2016. “We ended 44 years of Conservative rule, reversed devastating cuts to education. We’re leading Alberta’s future with our forward-thinking Climate Leadership Plan. We can’t go back to the days of tax giveaways for the wealthiest and less support for hard working families.” was the end of an email appeal from Premier Rachel Notley on June 30, 2016. The results of the second quarter fundraising will be released in July 2016. This entry was posted in Alberta Politics and tagged Alberta NDP, Alberta Political Party Fundraising, Ezra Levant, Money and Politics, Nathan Cooper, Rachel Notley, Rebel Media, Roari Richardson, Sarah Hoffman, Todd Loewen, Wildrose Party on June 30, 2016 by Dave Cournoyer. alberta election candidate update: january 2012. The list of candidates nominated to stand in the next provincial general election continues to grow. Banff-Cochrane: Nominated Wildrose Party candidate Trudy Heuser has stepped down as her party’s candidate, citing personal reasons. The former school trustee was criticized after her nominated by local Wildrose members who called the process unfair. Canmore businessman John Fitzsimmons and Cochrane Mayor Truper McBride have entered the Progressive Conservative nomination contest to replace retiring MLA Janis Tarchuk. The nomination meeting is scheduled for January 28, 2012. Barrhead-Morinville-Westlock: Tim Schultz, Maureen Kubinec, Lloyd Bertschi, and Bert Seatter are the second, third, and fourth candidates to enter the PC nomination contest to replace retiring ten term MLA Ken Kowalski. Mr. Shultz is the former executive assistant to Deputy Premier Doug Horner. 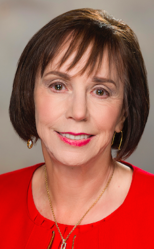 Ms. Kubinec is Deputy Reeve of Westlock County and the former President of the Alberta School Boards Association. 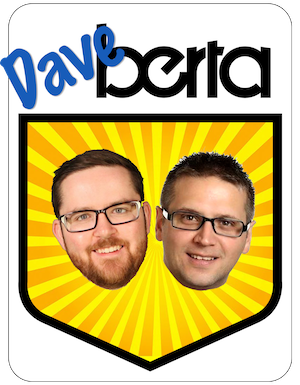 Mr. Bertschi is the Mayor of Morinville and the former President of the Alberta Urban Municipalities Association. Mr. Seatter is a member of Westlock County Council. The first candidate to enter the contest was Westlock Town Councillor David Truckey. The nomination meeting is scheduled for January 28, 2012. Bonnyville-Cold Lake: Past federal Liberal candidate Rob Fox has expressed interest in the Liberal Party nomination in this northeast Alberta constituency. Mr. Fox placed third with 6.1% of the vote in the May 2011 federal vote. 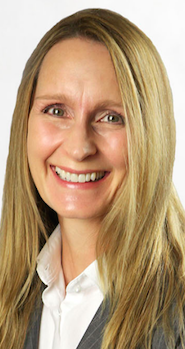 Calgary-East: Liberal Party activist Michelle Robinson is seeking her party’s nomination. 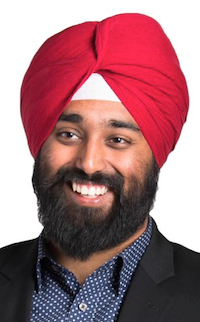 Calgary-Hawkwood: Local radio personality Kumar Sharma is seeking the PC nomination. 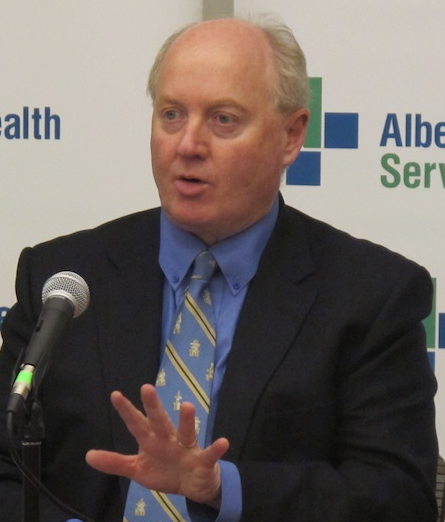 Calgary-West: Recently resigned Alberta Health Services chairman Ken Hughes is seeking the PC nomination, which is being vacated by current Finance Minister Ron Liepert. Mr. Hughes served as Chairman of AHS since 2008 and was a PC Member of Parliament from 1988 until 1993. Also seeking the nomination is Calgary Police Service Sergeant Mike Ellis. Edmonton-Beverly-Clareview: Prolific tweeter Don Martin has been acclaimed as the Wildrose Party candidate. Edmonton-Calder: Alex Bosse is seeking the Liberal Party nomination in this north west Edmonton constituency. 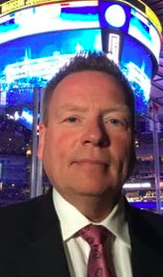 Mr. Bosse was previously seeking the nomination in St. Albert, but told this blogger that he was convinced by the party to run in Calder instead. Edmonton-Ellerslie: Past City Council candidate Chinwe Okelu was acclaimed as the Alberta Party candidate in this southeast Edmonton constituency. Edmonton-Gold Bar: Past City Council candidate Lori Jeffery-Heaney is challenging past Mayoral candidate David Dorward for the PC nomination. The nomination meeting is scheduled for January 25, 2012. Fort McMurray Conklin: Catholic School Trustee Keith McGrath is considering seeking the Wildrose nomination. UPDATE: Mr. McGrath has withdrawn his name from the Wildrose contest. Fort McMurray-Wood Buffalo: Public School Board Trustee Jeff Thompson is seeking the PC nomination. 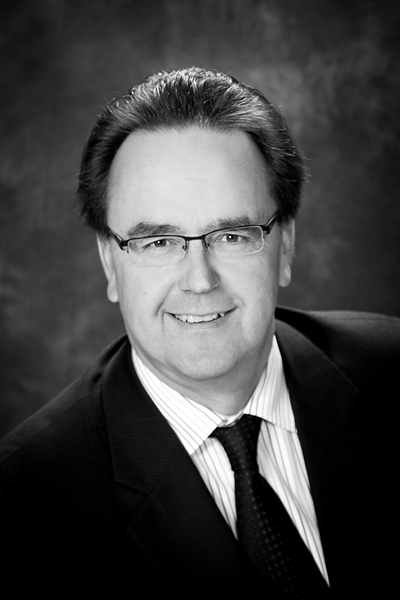 The constituency is currently represented by Wildrose MLA Guy Boutilier. The nomination meeting is scheduled for January 28, 2012. 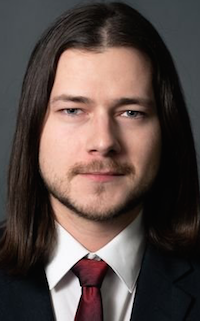 Fort Saskatchewan-Vegreville: Chris Fulmer is the nominated NDP candidate. 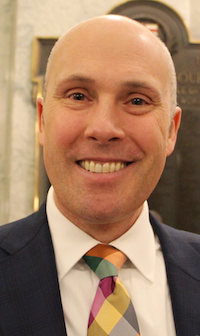 Grande Prairie-Smoky: Todd Loewen was nominated as the Wildrose canddiate, defeating Duane Stevenson and Bret McNally. Lac La Biche-St. Paul-Two Hills: Lac La Biche County Councillor John Nowak was nominated as the Liberal candidate. MLA Rob Renner is retiring. Medicine Hat: After 18 years as a PC MLA and cabinet minister, Rob Renner has announced that he will not seek re-election. Mr. Renner was first elected in 1993, defeating Liberal candidate and future Mayor Garth Vallely by 151 votes. 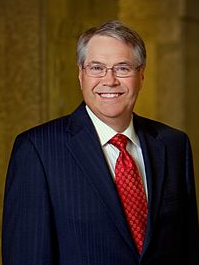 He was re-elected in 2008 by a margin of 1,763 votes. 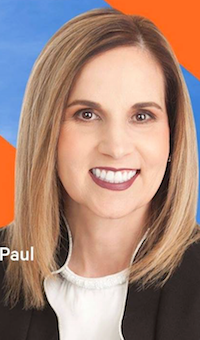 Sherwood Park: Strathcona PC President Sue Timanson is seeking the PC nomination in the neighbouring Sherwood Park constituency. 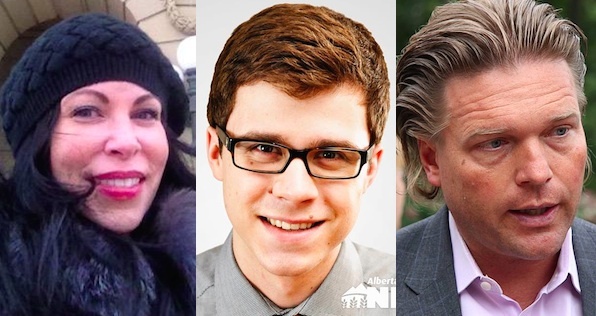 Also seeking the nomination are PC Party activist Matthew Bissett, former Strathcona County Mayor Cathy Olesen, and current County Councillor Brian Botterill. St. Albert: Morinville Vice-Principal Sleight Anstruther is the fifth candidate to join the PC nomination contest in this constituency. The nomination meeting is scheduled for January 31, 2012. With a General Election expected to be held in the next few months, the PCs have scheduled nomination meetings in Airdrie, Calgary-Currie, Calgary-Fish Creek, Calgary-Glenmore, Calgary-Mackay-Nose Hill, Calgary-Mountain View, Calgary-McCall, Calgary-Varsity, Edmonton-Meadowlark, Edmonton-Riverview, Edmonton-South West, Highwood, Lethbridge-East, and Vermilion-Lloydminster. I will post updates from these constituencies when I receive them. Please email david.cournoyer@gmail.com if you have updates that you would like to share. This entry was posted in Alberta Politics and tagged Alex Bosse, Bert Seatter, Bret McNally, Brian Botterill, Cathy Olesen, Chinwe Okelu, Chris Fulmer, David Dorward, David Truckey, Don Martin, Duane Stevenson, Garth Vallely, Guy Boutilier, Janis Tarchuk, Jeff Thompson, John Fitzsimmons, John Nowak, Keith McGrath, Ken Hughes, Kumar Sharma, Lloyd Bertschi, Lori Jeffery-Heaney, Matthew Bissett, Maureen Kubinec, Michelle Robinson, Mike Ellis, Rob Fox, Rob Renner, Sleight Anstruther, Sue Timanson, Tim Shultz, Todd Loewen, Trudy Heuser, Truper McBride on January 4, 2012 by Dave Cournoyer.